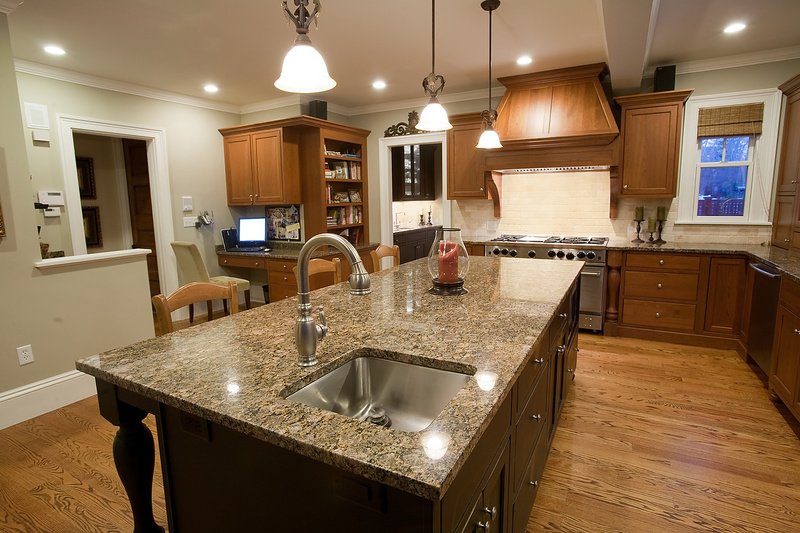 Brownie Granite countertop is like a little indulgent in your kitchen. The look is the same as real brownie. Non-rigid, spongy look big and small circles, warm brown colors that you won’t regret in your kitchen remodeling process. Brownie Granite surface is quite busy with the mixture of warm browns and randomly spread circles. Her circle colors are golden, red, green and cream. All the colors and shapes are in harmony in this prettiness. Her origin is from Brazil. She looks a lot like the Baltic Brown Granite, but the main characteristic of her is her rare finding circles. 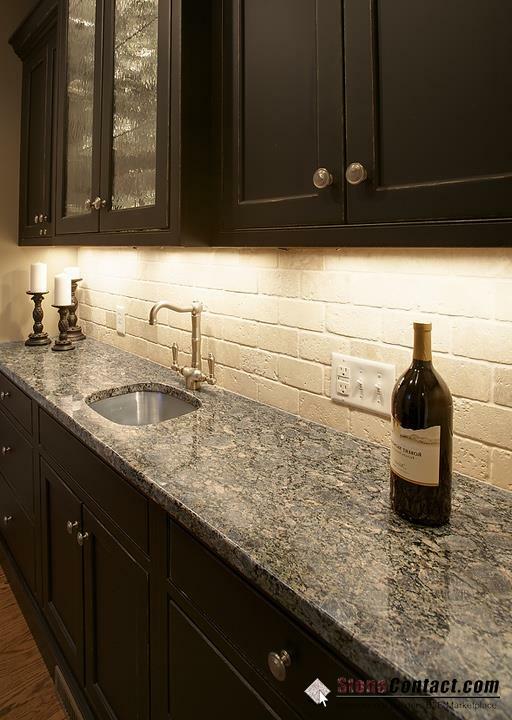 The harmony of colors brings wide options to all homeowners debating about the kitchen cabinets and backsplash. 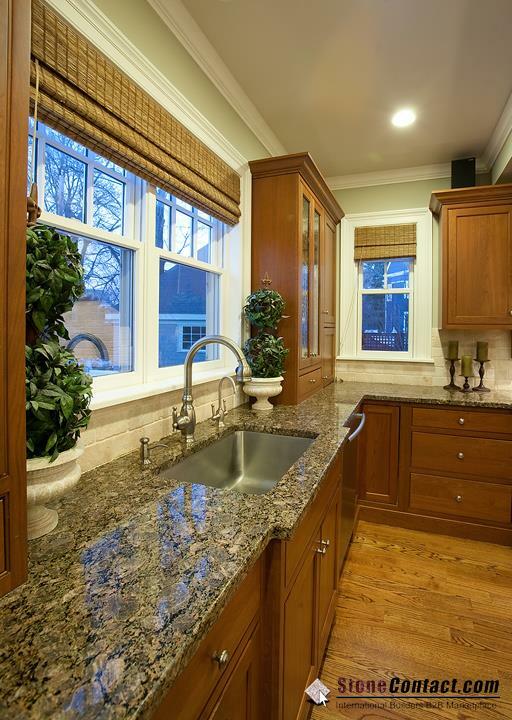 Brownie Granite Countertops are always a good match with any color of cabinets and with any earth color backsplashes. The pictures below are the ones that I adored and are ready to share with you. I am looking forward to seeing your comments soon. Please also share your kitchen granite pictures. It is not easy to see her beauty very often. Thank you for your collaboration. And also , If you are new in kitchen remodeling , my article Granite Countertop : Kitchen Countertop Materials would be very useful during kitchen renovation. Hmm, brownie and wine. It seems a celebration of the new face of the new kitchen, Dark cabinets, natural color backsplash and the jewel: Brownie Granite . Picture credit: Stone Contact. 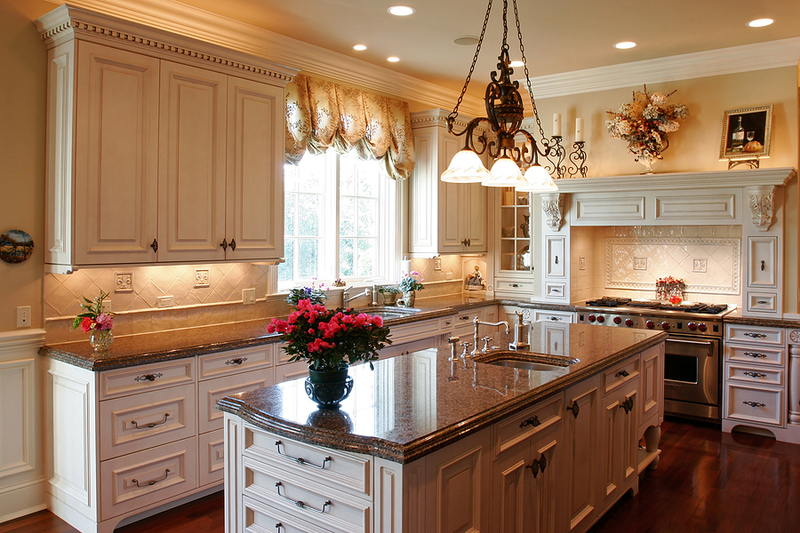 How Important is Kitchen Lighting?